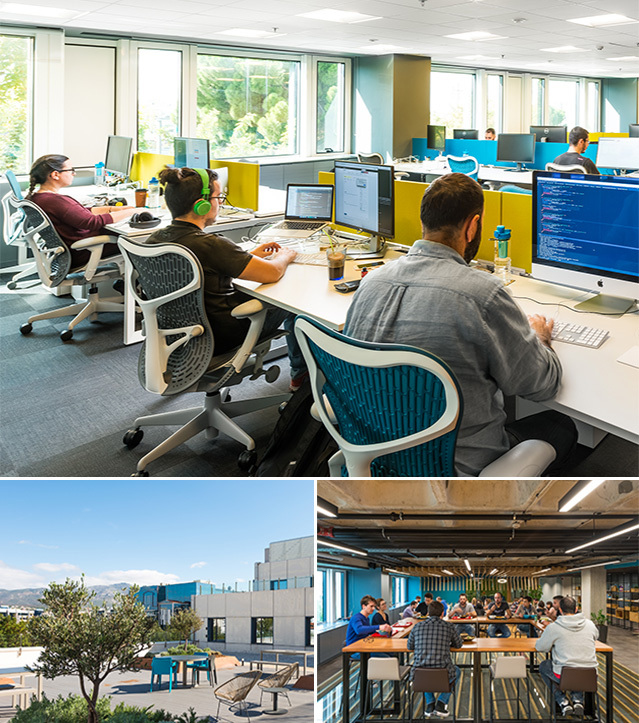 pretty awesome offices in both locations, our teams are growing across both sites. Want to join? There’s a nap room for those who like to power snooze, a games room for those who like to power play, and a big, open plan communal kitchen packed with snacks for those who like to power eat and drink. There are plenty of different spaces to work from depending on your mood - calm and contemplative, or collaborative and looking for company. “It feels like home” says Christina, our HR Manager. High up on the 26th floor, with a 360-degree view of the city, our Boston office comes complete with telescopes. Located in Downtown Boston, step outside and you’ll find color, life in all its glory, and seagulls. Inside there’s also color, with a vibrant collection of art inspired by our global customers and a cafe area humming with music. Breakfast and lunchtimes draw everyone to the communal kitchen with the promise of fresh, hot food and some quality catch-up time. 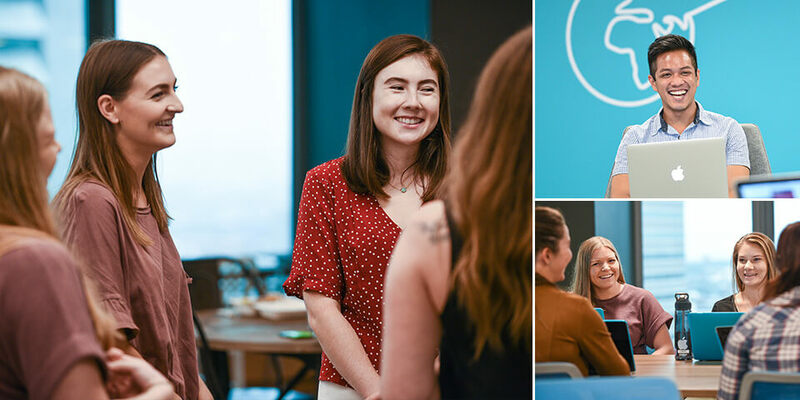 While most of our teams work from our busy offices in Boston and Athens, we know that sometimes you need to cast your net wider to scoop up talent. We already have specialists based remotely and continue to build on this network as and when we need to. 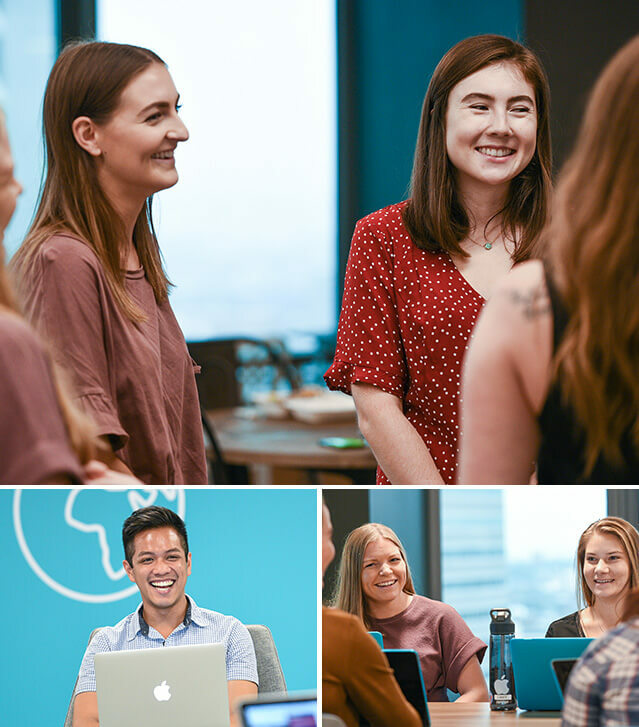 Modern tech tools make collaboration easy, so whether you’re in our busy office in Boston or a small one-person studio in Britain, you’ll still get chance to share ideas and work as part of a friendly, productive team. Sorry, we are not currently hiring for remote work.